The preferred digital piano of Music for Young Children®. 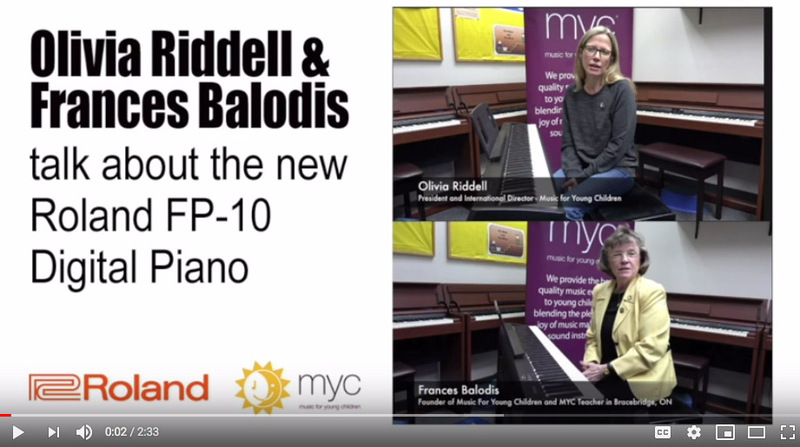 Now 4 piano models to choose from direct from MYC®! The piano is available in 2 finishes - black and white. Both colour options are accompanied by a matching bench. This affordable digital piano offers an authentic feel from the 88-note weighted, PHA-4 Standard keyboard and Roland’s acclaimed SuperNATURAL piano tones through onboard speakers or headphones. With its portable, space-saving design, the FP-10 is the ideal instrument for home use, whether you’re practicing techniques in the spare room or giving performances in the living room. Plus, with Bluetooth® connectivity and powerful onboard features not offered by any other digital model at this price, the FP-10 is unprecedented value for your money. For students learning to play the piano, having 88 keys makes a big difference. Although smaller 61 or 76-note keyboards are portable and easy to handle for younger players, an 88-note full-size keyboard helps you develop the correct technique and become a more expressive player. Most keyboards make you choose between performance and portability, but Roland’s GO:PIANO88 delivers equally on both fronts. Lightweight and road-ready, with optional battery power and headphones, this mobile instrument has a full-size 88-note keyboard and sounds derived from Roland’s best digital pianos, so you can play with the correct technique and expression – vital for classical music or more complex pieces. GO:PIANO88 also features high-quality onboard Bluetooth® speakers that hook up to your smartphone allowing you to play along with your favorite music. When your child first begins music classes, you may find yourself trying to balance budget with quality when it comes to purchasing their instrument. With the Roland GO:PIANO, you can relax because you get both! The quality Roland has long been renowned for at a price that makes it easy to give your child a solid start in their musical journey. 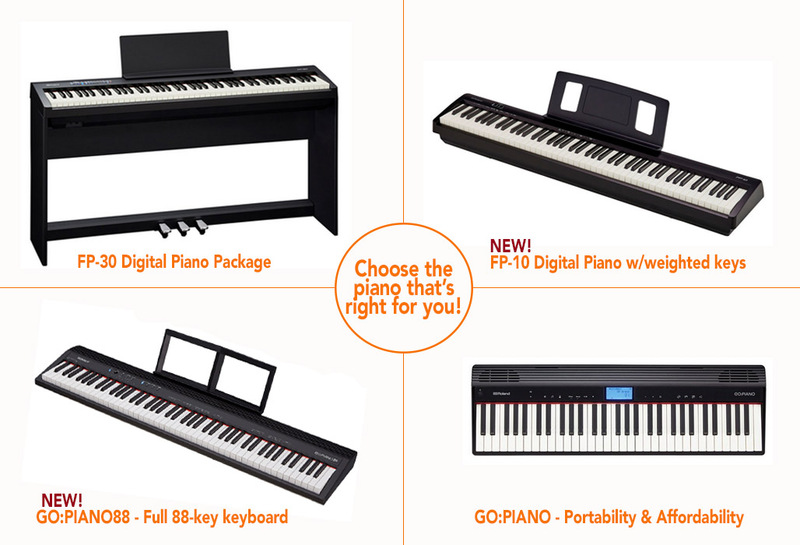 With 61 weighted keys and a natural sound derived from Roland’s premium digital pianos, the GO:PIANO is the ideal choice at this price point. Free regular ground shipping is available to most areas in Canada for all pianos ordered from this site. Some remote areas of Canada are not eligible for free shipping. If your order is not eligible for free shipping you will be notified of any additional costs prior to processing your order. 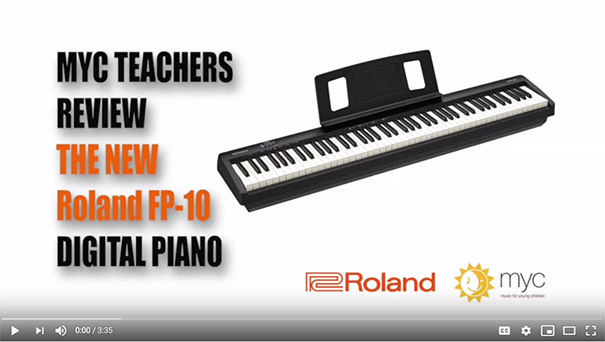 Roland Canada is happy to answer any questions you may have on any of these pianos. Send an email to [email protected] and a Roland representative will respond to your inquiry. Please do not contact MYC with questions pertaining to this piano. Roland Canada offers a 30 day return policy from the date of shipment to you on all items ordered from this site. Return shipping costs and loss/damage insurance are the responsibility of the purchaser. Please contact Roland at [email protected] for a Return Authorization Number. All items returned must be like-new condition with all original packaging and accessories.